Far right organisations have been allowed into Polish community schools in Britain – and one school appears to have direct “partnership” relations with a group that has known fascist links. In a guest post for Dream Deferred, Adam Słowacki reports. 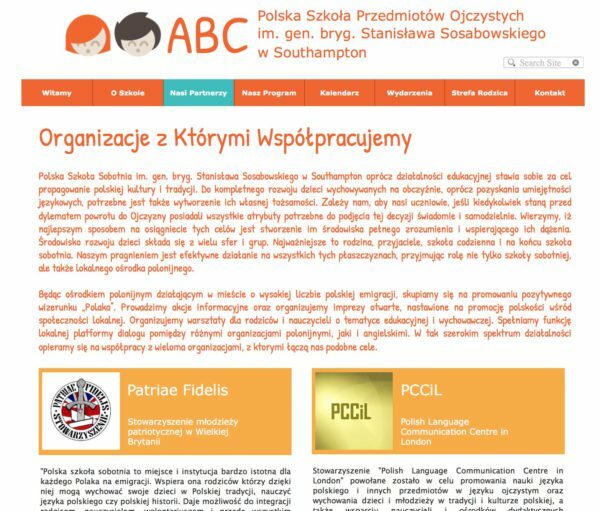 The Polish School of Mother Tongue in Southampton and the Adam Mickiewicz Polish Saturday School, in Blackburn, have been hosting meetings by radical organisations, raising fears that the far right groups Independent Poland (Polska Niepodległa in Polish) and Link (Ogniwo in Polish) might have or gain access to children attending the schools. Both organisations are listed and described in the 2018 annual report on extremism in UK produced by Hope Not Hate. Both groups organise marches and demonstrations using racist and nationalist slogans and have nazis amongst their members. Ogniwo also organises paramilitary-style training exercises. Polska Niepodległa recently became infamous in the media, thanks to Rupa Huq MP, who urged the Home Office to prevent a visit to the UK of Polish hate preacher Rafał Ziemkiewicz. It was Polska Niepodległa that invited Ziemkiewicz here – although he was eventually forced to cancel his visit after several venues refused to host the meeting. Pictures documenting visits by Ogniwo and Polska Niepodległa at schools have been posted on social media. Here’s a rather impressive cake with Ogniwo’s emblem on the official Facebook page of the Polish School of Mother Tongue in Southampton. The school also advertises an event organised by Ogniwo. At one of the events reported in school’s gallery we can find another interesting logo – that of Patriae Fidelis (top, third from the left). Patriae Fidelis claims to be simply an organisation of Polish youth in Britain. But it is a front organisation set up by Jerzy “George” Byczynski, who has spoken at the national conference of the fascist National Movement (Ruch Narodowy) in Poland. Patriae Fidelis is also listed in the Hope not Hate report. The Southampton school actually advertises Patriae Fidelis as a partner on its website. Meanwhile the Adam Mickiewicz Polish Saturday School, Blackburn, has posted photos of children on stage, with the banner of Polska Niepodległa underneath. And here is a Polska Niepodległa speaker, apparently in the school – the heads in the foreground look like those of young children. 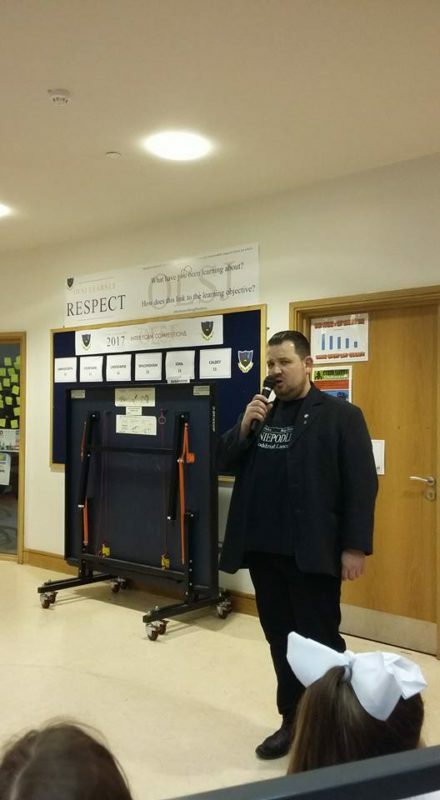 Perhaps one of the reasons the Blackburn school is associated with radicals is that the headteacher Wioleta Serocka’s husband is a member of Polska Niepodległa – in fact that is Serocki, shown speaking in the photograph. Radicalisation of pupils at schools in UK or anywhere else should obviously never take place and it is extremely worrying that these far right organisations might gain access to children and the opportunity to indoctrinate them. I always knew that Polish Saturday Schools are teaching super-conservative values not compatible with the western liberal values but I never suspected them to collaborate openly with the right-wing, fascists organisations. So-called ‘Polish Community’ is so disappointing. Its a no brainer that they “gain” access to children … since most of them are actually parents. Yet another no brainer, that they send their pupils to Saturday language schools since polish culture and language is important to them. You make it sound as something new … it’s been going on in uk since 50’s were there was a huge past war polish community who started most of these schools… obviously most of them were military people who stayed in uk due to communism and ussr taking over Poland at the time… so by default they have deep right wing roots. I have said it before and I will say it again – the UK has always been doing a great job preventing preachers of hate from entering the country (priest Jacek Międlar, Rafal Ziemkieiwcz, etc.) or bringing public attention to the murky activities of far-right / fascist groups and organisations. The question remains who is going to protect us here in Poland from these despicable characters? They can move around the country, have access to news outlets, they can poison people’s minds.